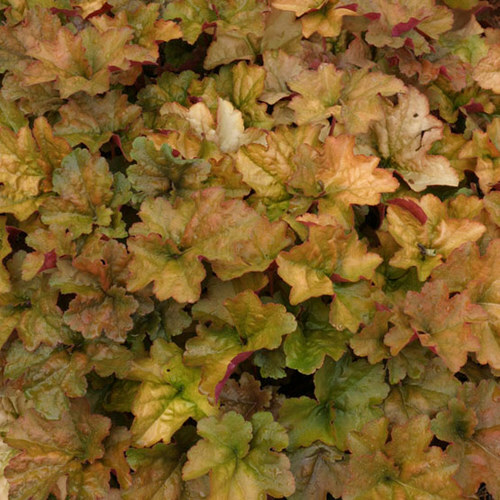 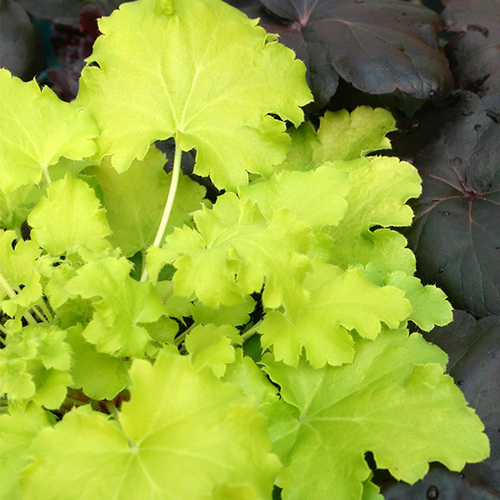 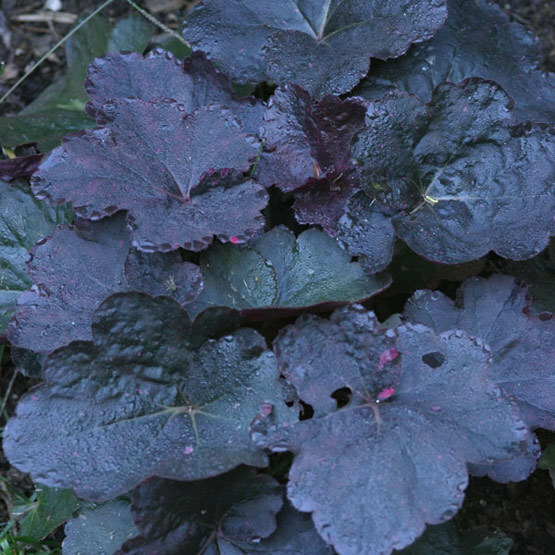 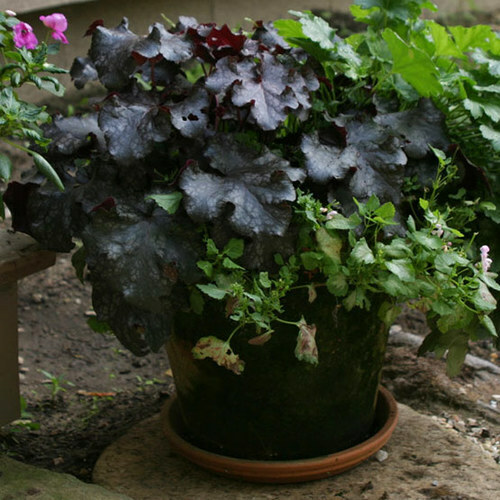 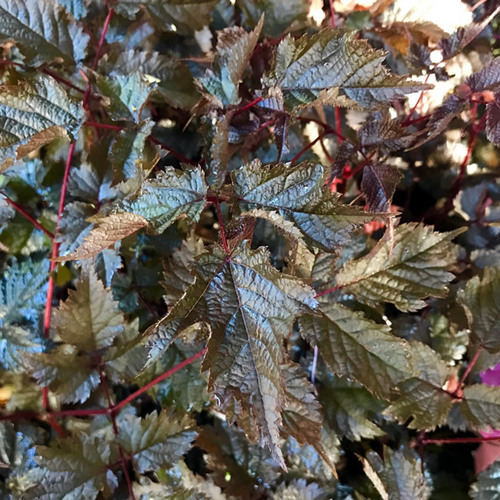 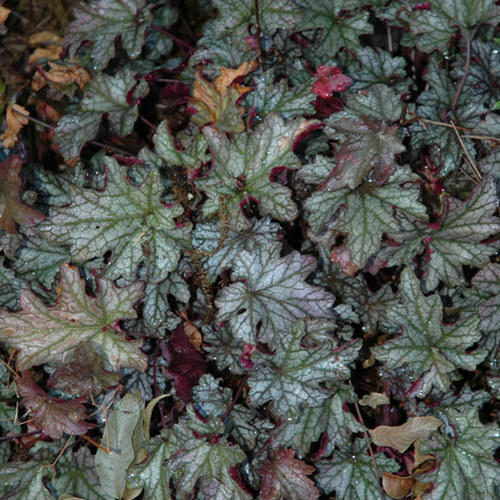 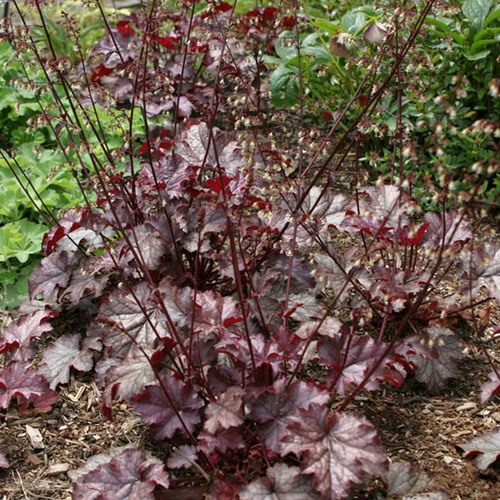 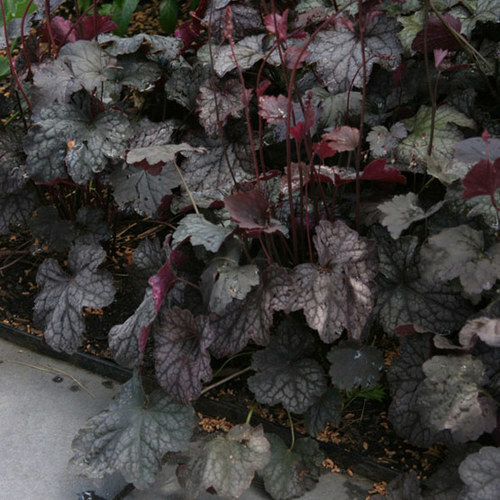 ‘Midnight Rose’ is a striking heuchera with burgundy leaves heavily splashed with hot pink. 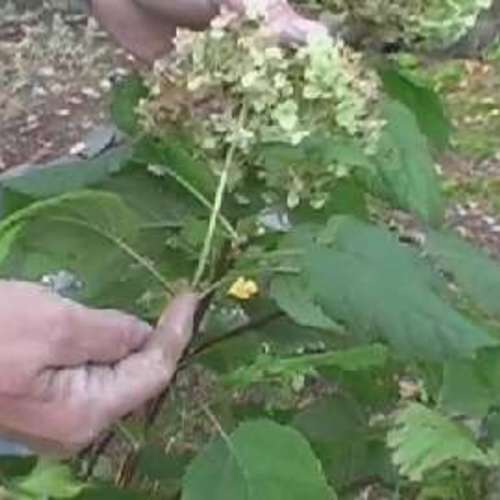 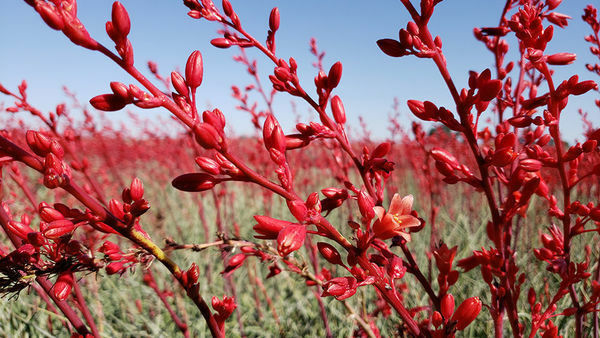 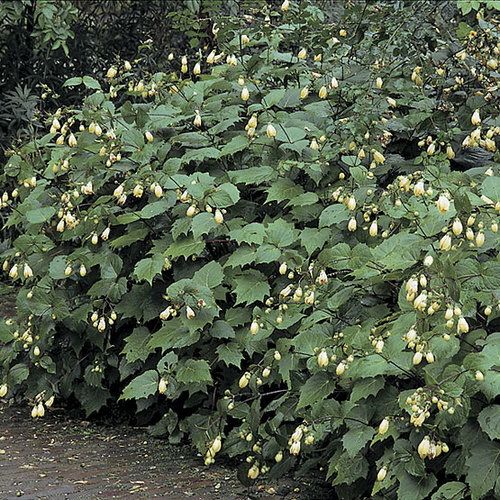 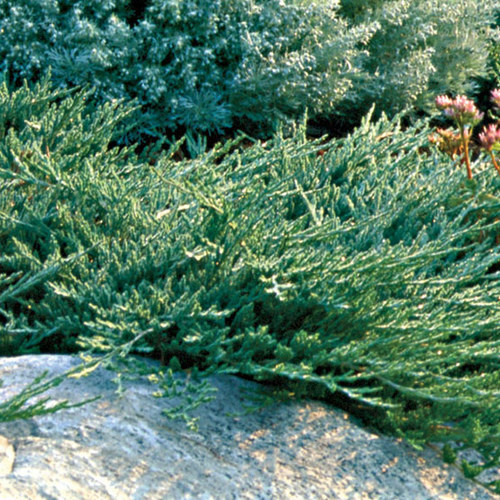 The plant grows to 10 inches tall and 16 inches wide and produces small flowers in spring, though this plant is grown primarily for its foliage. 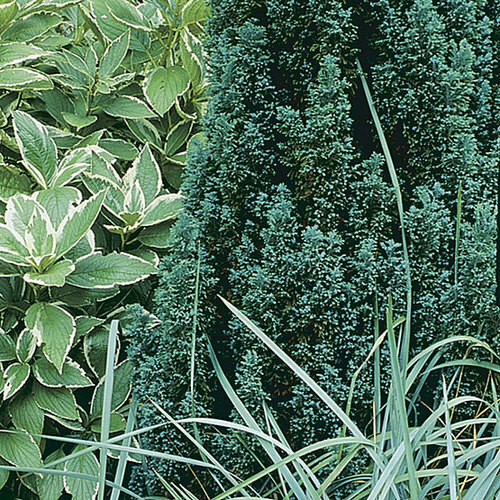 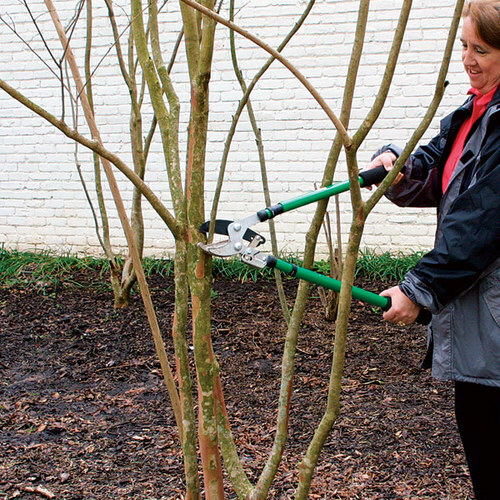 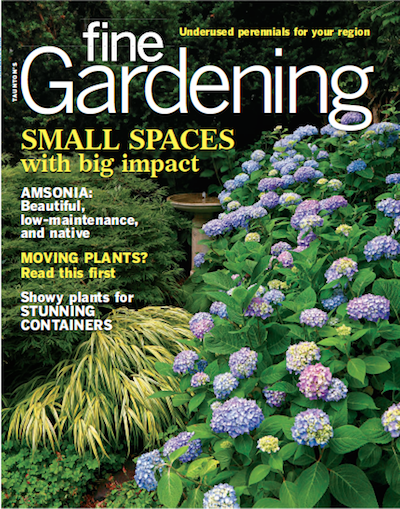 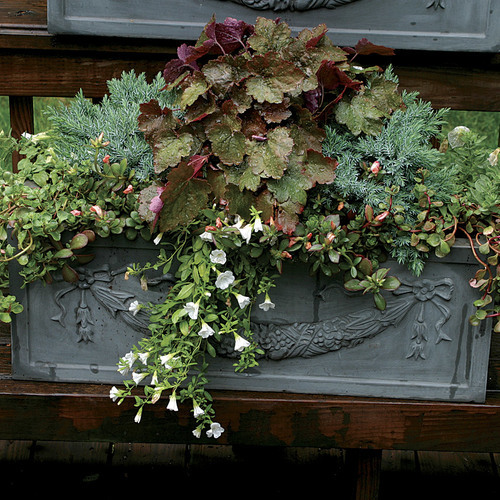 Grow it in garden beds, as an edger, or in containers, where it will blend well with a multitude of other plants. 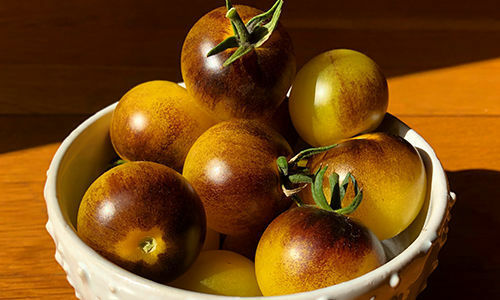 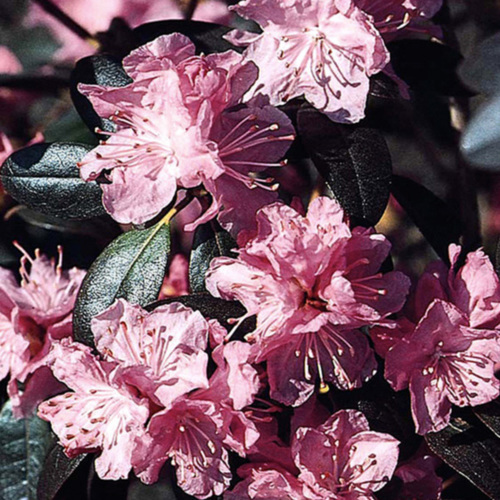 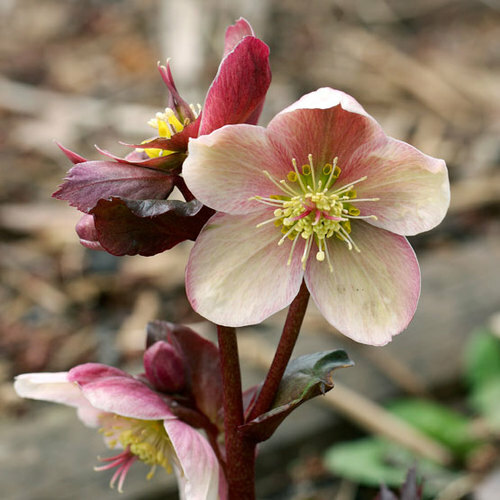 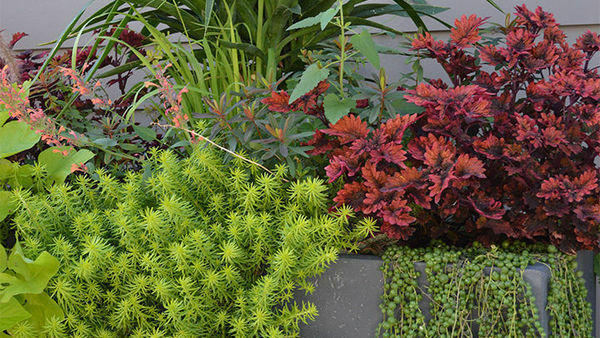 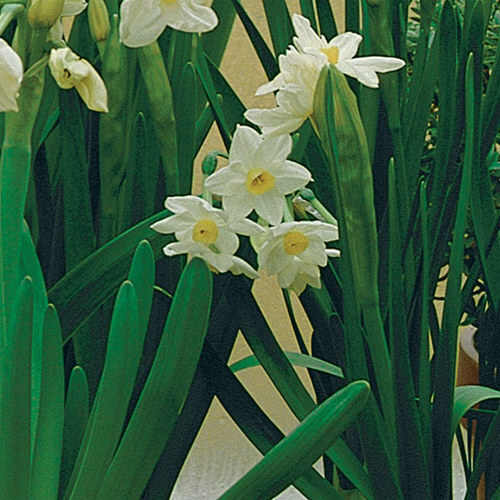 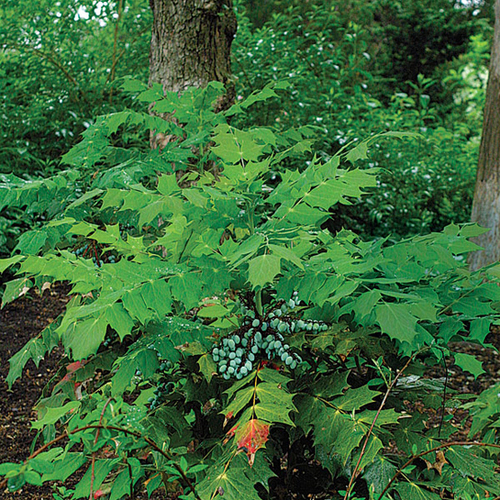 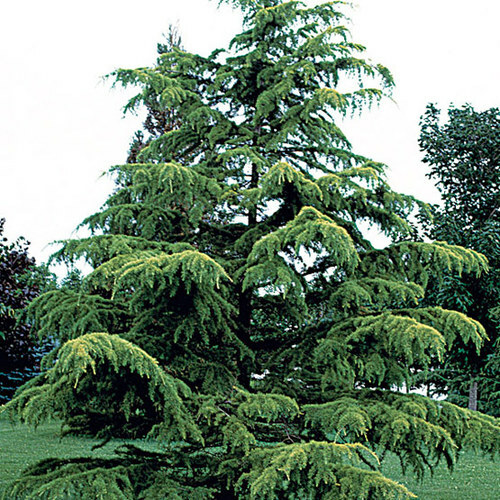 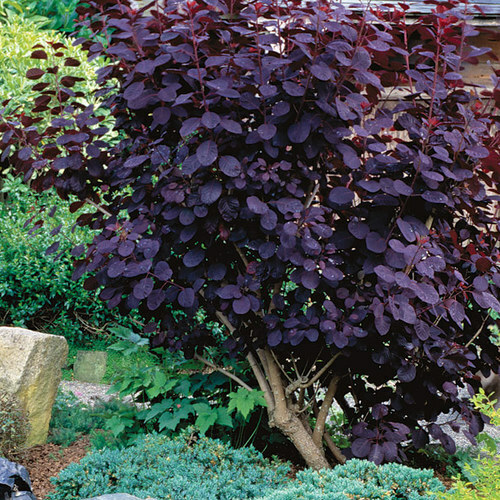 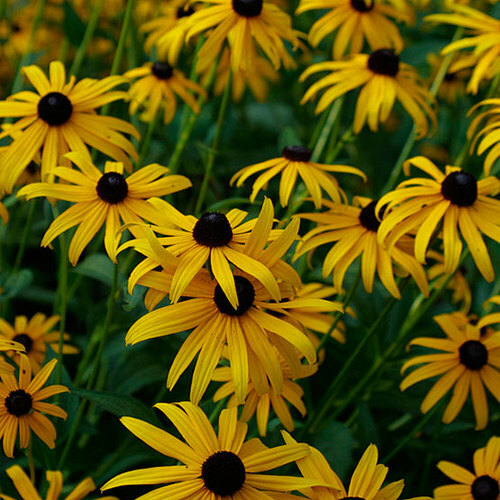 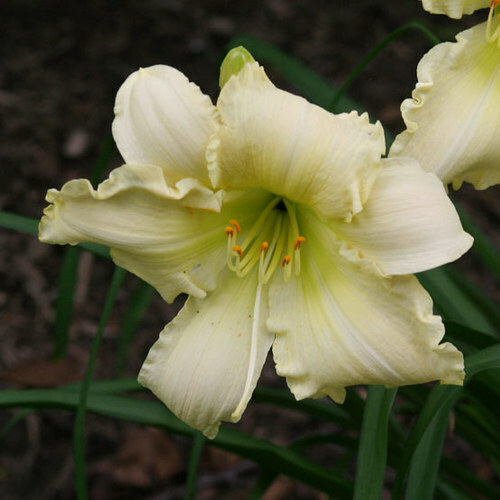 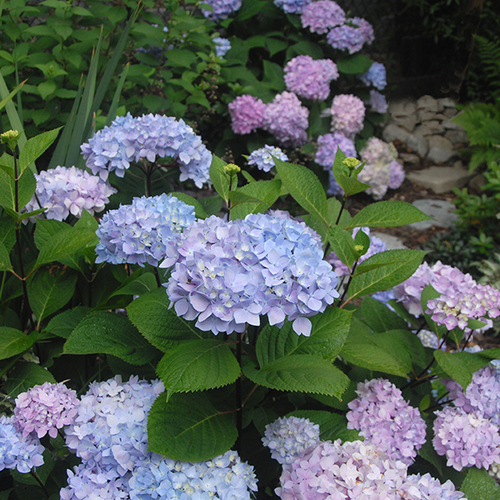 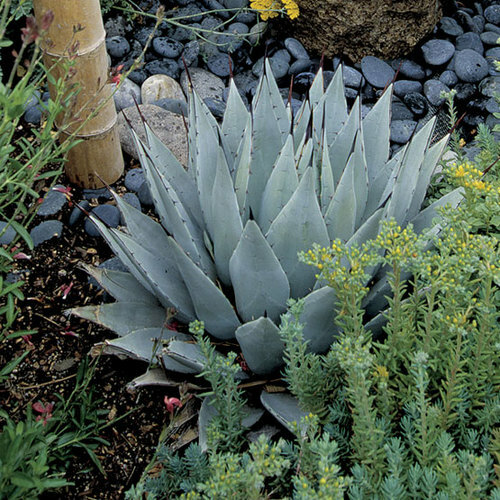 CareProvide full sun to partial shade and moist, well-drained soil. 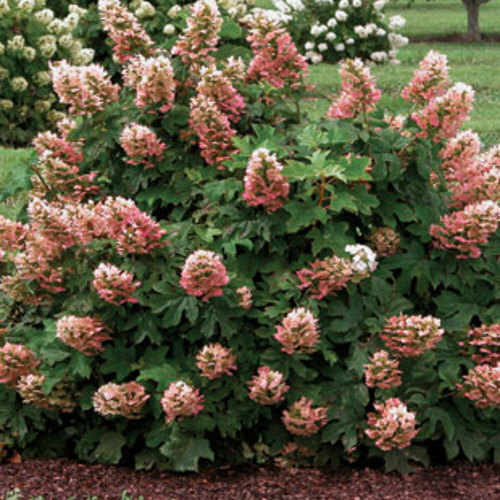 Propagation Divide clumps in fall. 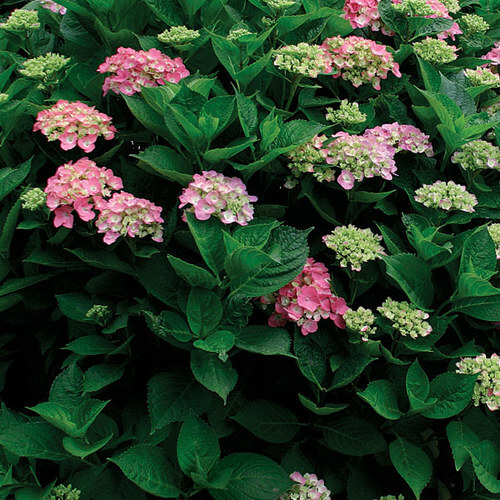 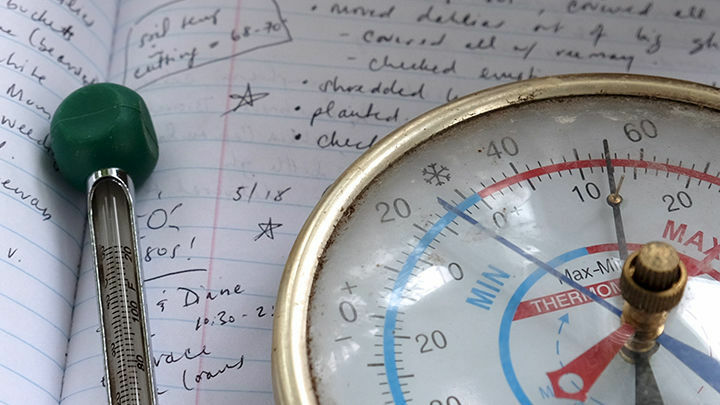 Problems Occasional powdery mildew and leaf spots may occur.